On October 22nd Mark Holzmann wrongly cut off someone riding a bike. That night the person who he cut off disturbingly found where he lived and sliced his tires leaving a threatening note. The world is full of too much aggression right now. Let's show Mark that the Portland bicycling community stands by him and rejects the actions of the very angry person who slashed his tires. perpetrators actions against me and my property. 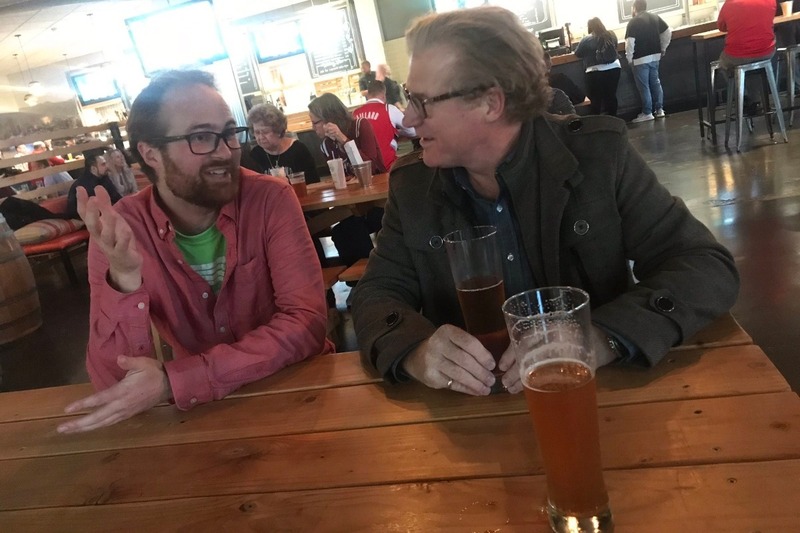 I have met and had a few beers with the Owner/Editor Jonathan Maus of PortlandBike blog and fellow Bike Entrepreneur Kiel Johnson who owns and runs the massive Bicycle Park and Ride business at the base of the Tram at OHSU. Both were fun, reasonable and knowledgeable business men involved in the bicycle transport business. Kiel started a “Go Fund Me” page to replace my tires. That’s a pretty cool gesture of concerned support! Since getting together I have requested and we agreed those funds will be donated to Driver and Rider education. Sadly, this episode unfairly cast a pale on all bike riders based on the action of one. Believe me I have seen equal to far worse road rage from car drivers, their actions and rhetoric blasting while insulated in their cars. The silver lining for me, this motorist, has been a heightened awareness of safety and regards to rules and regulations of the Portland roadways in general. I’ve made some great new friends in Jonathan and Kiel and who knows maybe I’ll be convinced to ride my bike to work a few times this next year! Both were tickled that during the episode I learned and used an Electric Scooter to retrieve my car from the the tire store. " Thank you all for your support and for making the world slightly more reasonable and better place.